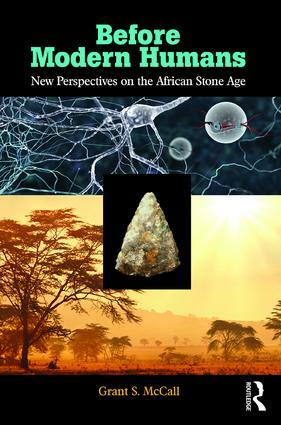 This fascinating volume, assessing Lower and Middle Pleistocene African prehistory, argues that the onset of the Middle Stone Age marks the origins of landscape use patterns resembling those of modern human foragers. Inaugurating a paradigm shift in our understanding of modern human behavior, Grant McCall argues that this transition—related to the origins of “home base” residential site use—occurred in mosaic fashion over the course of hundreds of thousands of years. He concludes by proposing a model of brain evolution driven by increasing subsistence diversity and intensity against the backdrop of larger populations and Pleistocene environmental unpredictability. McCall argues that human brain size did not arise to support the complex patterns of social behavior that pervade our lives today, but instead large human brains were co-opted for these purposes relatively late in prehistory, accounting for the striking archaeological record of the Upper Pleistocene. "Much of the current paleoanthropological research on the past 200,000 years focuses on the development of "modern" features of anatomy (fossils) and culture (through archaeology). Anthropologist McCall (Tulane) argues in this forceful volume that it is too much, and he proposes a more ecological and organizational approach to understanding the evolution of the human record prior to Homo sapiens…Some of these ideas are novel; others are becoming widely discussed in the field (there are few references since 2011). A good source for seminar discussions and conference arguments. Summing Up: Recommended." Grant S. McCall is Associate Professor of Archaeology at the Department of Anthropology of Tulane University, USA.